We know how important feedback is for new and emerging writers and we also know that there’s no ‘one size fits all’ when it comes to receiving it. Plays are all different, writers are all unique and have various requirements – from wanting structural advice on an early draft to getting their play submission ready! So, we’ve decided to give our Script Consulting Service a good old overhaul to make sure we can help as wide a range of writers as possible with developing their work. It wasn’t that our old service wasn’t working. In fact, we’ve helped plenty of writers redraft their work this way and watched on proudly as they have gone on to have success with their plays (from rehearsed readings to full productions!). We still think that offering a 90 minute Skype chat along with written notes is a great way to deliver feedback and fuel the vibrant discussion that is invaluable in helping a writer to develop their work. So, this option is still on the table for those who want to use it! We’ve also added in a few new options to meet the needs of a wider range of writers. You’ll now be able to opt for a written report only which is perfect for those who would rather work through their notes alone and because it takes us less time, it’s cheaper. We’re also offering feedback on the first 10 pages of script and the premise; this will help writers to find out if they’re on the right track with their idea and if they’re going to grab the attention of a reader in their opening scenes! And, if none of these options suit your needs, we’re now offering Creative Development, where you can pay by the hour for individual feedback/ mentorship. Whichever option you choose, you’ll get matched with one of our experienced script consultants who will work with you to get the very best out of your script! We’ve also worked hard to keep the cost of our services down whilst ensuring we are able to pay a fair wage to those involved . And, LPW Members pay 20% less on all of these services. So, find out more about joining here. Read the full details of our script consulting services here and feel free to get in touch at scripts@londonplaywrightsblog.com with any questions you might have. The Bruntwood Prize for Playwriting is open to anyone who has a story to tell through the live medium of theatre. They want to support anyone and everyone to try to complete a play before the deadline on 5th June, whatever your writing experience. With this in mind, they have launched an online toolkit which will help you to get your play down on paper. How it works: they have commissioned 9 of the country’s most exciting playwrights, many of whom have either been shortlisted or won a Bruntwood Prize to share their experiences with you. Every week, they will post a new session to take you through the steps of writing a play. From blank page to completed script and support for re-drafting, each session will have some exercises, questions to ask yourself about your work and examples from each playwright. They have asked the playwrights to use examples from their own work to try and help you understand the process they have been through and how they have used some of the exercises and suggestions they are sharing to support their own work. Read the full details of the initiative here. How to access the resources: you can find everything on the Bruntwood’s Write a Play website. We’ll also be posting links to each weekly session in this post, just to make sure you don’t miss out on any of these valuable resources in the run up to the competition. Check out the full range of forthcoming resources here. Insights is a new series of podcasts live from the Paines Plough rehearsal room, where directors and playwrights reflect on the week’s progress, featuring a different guest each week. 10 years on from the death of Nobel Laureate Harold Pinter, this display takes you back to the beginning of his playwriting career. From his final play Celebration to the early prose pieces that influenced his dramatic writing, reproductions of his manuscripts and archival photographs offer a glimpse into Pinter’s creative process. Find out which lines, words and images inspired his plays… and see the famous Pinter pause at work. The Bunker is establishing a free-to-use writers’ room at its London home, as part of plans announced by new artistic director Chris Sonnex. Sonnex took over the leadership of the theatre in September and is also unveiling his first season, which includes a satirical comedy about refugees in the UK, the Fringe First award-winning Funeral Flowers and a week-long festival exploring identity. In the spring, the Bunker, in Southwark, will open the Writers’ Snug, a free-to-use space within the theatre’s building set aside for playwrights to work in. One of the desks will be permanently reserved for under-represented writers. BBC Cymru Wales and National Theatre Wales, along with BBC Writersroom, have announced a major new partnership to develop and support new Welsh writing talent. The annual Wales Writer in Residence award is a prestigious new scheme – worth over £12,000 to the winner – to support new writing for broadcast and theatre. It replaces the biennial Wales Drama Award which has run since 2012. During their year-long tenure as Wales Writer in Residence, the winner will enjoy two consecutive residencies with both organisations, providing them with the time and space to write, as well as an opportunity to work with BBC Studios, independent producers and National Theatre Wales. The winning script will be commissioned and produced for BBC Radio 4 and/or BBC Sounds, and the winning writer will receive an advance on a commission from National Theatre Wales. Who can apply: this opportunity is open to writers who can represent the culture of Wales with authenticity (for example they may be from, or have lived or worked in Wales). The scheme will be run by BBC Writersroom Wales. Full details will be unveiled at a briefing session for writers in January. The scheme is for writing in English and will launch in the new year with the winner expected to be announced in the summer. Those keen to apply are invited to register their interest here to be kept informed of the application process. BBC Writersroom’s regular window for unsolicited scripts is open between 5pm on Monday 10 December 2018 and 5pm on Monday 7 January 2019 for Drama scripts (TV, film, radio, stage or online). Before considering making a submission, you will need to read the information on the website carefully. Submissions that do not meet the criteria or are in breach of the terms and conditions will be subject to disqualification without discussion. University Women in the Arts, the mentoring scheme to improve the transition from women studying the arts to working in the arts, has announced a series of new partnerships with leading arts and education organisations to help tackle abuse in the arts. The year long project will help female arts students and recent graduates have their voices, experiences and views heard in the current discussions around bullying, abuse and harassment in the arts. University Women In the Arts will also work with GenPol, the gender equality think tank based at the University of Cambridge, to produce a toolkit to help drama schools and university arts courses and departments equip their female and male students to deal with, tackle and help eradicate bullying, abuse and harassment in the arts as they make their way into the arts industry. The five initial partners being announced for the writing workshop series are Sphinx Theatre Company, one of the UK’s leading female theatre companies; Actor Awareness, which is leading the way campaigning for and supporting working class actors and writers; Kings College London in partnership with Pokfulam Rd Productions, which recently produced the anthology “Foreign Goods” of work by British East Asian playwrights published by Oberon Books, one of the UK’s leading performing arts publishers, and Papergang Theatre; the University of Cambridge via the Arts and Creativities Research Group and GenPol, the gender equality think tank based at the University of Cambridge; and Brush Stroke Order, which was developed in the North West of England via the National Theatres’ Step Change Programme. The overall project will be supported by the Creative Industries Federation and 5 more leading arts and education partners will be announced later this year. Writing will be mentored by Titilola Dawudu, who has recently edited the forthcoming book of audition monologues created by and for diverse actors, “Hear Me Now”, to be published shortly by Oberon Books, Jingan Young, who was a BBC New Talent Hot List Writer in 2017, editor of the “Foreign Goods” anthology published by Oberon Books and is Artistic Director of Pokfulam Rd Productions, and Jennifer Tuckett, Director of University Women in the Arts and Co-Director of Art School, which manages the University Women in the Arts programme amongst other work. How to submit: you can find all the submission details along with submission guidelines on the website. BBC Writersroom has set up The Writers Access Group, a brand-new initiative to give talented disabled writers the chance to expand their writing skills and to be offered opportunities in TV and radio at the BBC. London Writers’ Week is back for 2018 and we’re proud to announce that London Playwrights’ Blog is on board again as a partner! 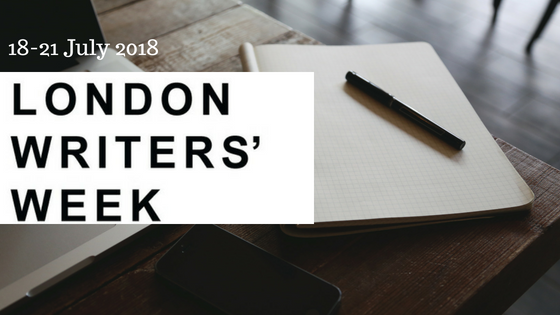 London Writers’ Week, the annual week providing access to and showcasing the best new ideas going on in new writing in the UK and the new writing version of London Fashion Week, has announced its programme for 2018. Having successfully raised money for the victims of the Grenfell Tower fire in 2017, supported by the Tabernacle Theatre and Bush Theatre, London Writers’ Week 2018 is dedicated to supporting organizations promoting diversity in the arts. the week’s 2018 theme is film and will include sessions on playwriting and film, digital media and film, television and film, film and other areas such as how to get and keep an agent. The week is also announcing new partner The London Screenwriters’ Festival, who is joining the organisation’s group of partners who support the week’s aim to provide access to and showcase the best new ideas going on in new writing in the UK. A session with BAFTA nominated writer and co-Chair of Film at The Writers’ Guild of Great Britain Andrea Gibb on The Writers’ Guild’s new campaign “Equality Writes” and advice for women who write for or would like to write for film. Advice on writing for film from the Raindance Film Festival, the UK’s largest independent film festival, which has staged the UK premieres of films including “The Blair Witch Project”, “What’s Eating Gilbert Grape” and “Memento”. 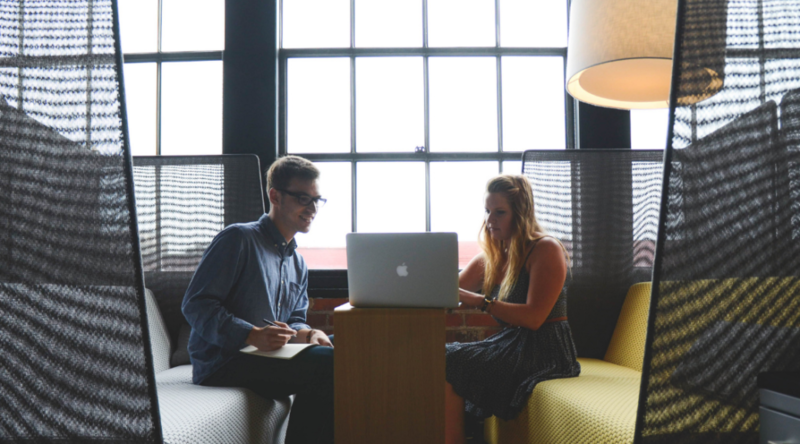 Advice on getting and keeping an agent and how having an agent works from Kat Buckle, agent at Curtis Brown, one of the UK’s leading and most innovative literary agencies. Advice on writing for film from the London Screenwriters’ Festival, the world’s largest professional screenwriting event. A pitching workshop with Bob Shultz, founder of the Great American Pitchfest who works with the London Screenwriters’ Festival. Advice on teaching and working with young people in terms of film from Into Film, who are leading the way in terms of film and young people. A writing workshop and writers networking session run by the London Playwrights Blog on playwriting and film. The Diversity School Initiative and Actor Awareness on increasing diversity in the arts. The organisations which will be supported by this year’s London Writers’ Week are The Diversity School Initiative, which campaigns for greater diversity in drama schools and whose board members include Vicky Featherstone, Artistic Director of the Royal Court Theatre, Actor Awareness, which campaigns for working class actors and writers and who recently made “The Acting Class” documentary with Maxine Peake, Christopher Eccleston and others, the London Playwrights Blog, an invaluable resource providing access to opportunities and advice, and University Women in the Arts, which aims to improve the transition from women studying the arts to working in the arts. For more information and to book tickets please go to the London Writers’ Week website. Check out the London Playwright’s Blog London Writers’ Week here!